Mrs. Folorunsho (or Folorunso) Alakija is a Nigerian business woman and Nigeria’s first female billionaire with a net worth of $2.5 billion. She is the Executive Vice Chairman of Famfa Oil Limited (oil exploration and production company) and also Group Managing Director of The Rose of Sharon Group which consists of The Rose of Sharon Prints & Promotions Limited and Digital Reality Prints Limited. Her career began in the mid 1970’s as a secretary at the now-defunct International Merchant Bank of Nigeria, one of the West African nation’s earliest investment banks. In the 1980s, after studying fashion design in England, she founded Supreme Stitches, a Nigerian fashion label that catered to upscale clientele. In May 1993, her company Famfa Limited applied for and was granted an Oil Prospecting License (OPL) on a 250,000 hectares (617,000 acres) block. Now referred to as OPL 216, it is located approximately 220 miles southeast of Lagos and 70 miles offshore Nigeria in the central Niger Delta. It is one of Nigeria’s most prolific oil blocks. In September 1996, she entered into a joint venture agreement with Star Deep Water Petroleum Limited (a wholly owned subsidiary of Texaco) and appointed the company as a technical adviser for the exploration of the license, transferring 40 percent of her 100 percent stake to Star Deep. Subsequently, Star Deep sold off 8 percent of its stake in OPL 216 to Petrobras, a Brazilian company. Folorunsho Alakija and her family owned 60 percent. Mrs. Alakija also has a real estate portfolio which is valued at an estimated $100 million. In2012, Nigerian and British media announced that she had acquired a property at One Hyde Park for an estimated $102 million. A source at Famfa Oil who asked for anonymity indeed confirmed that Mrs. Alakija actually acquired the property at One Hyde Park. Mrs. Alakija is also the owner of a Bombardier Global Express 6000 which she bought for a reported $46 million. 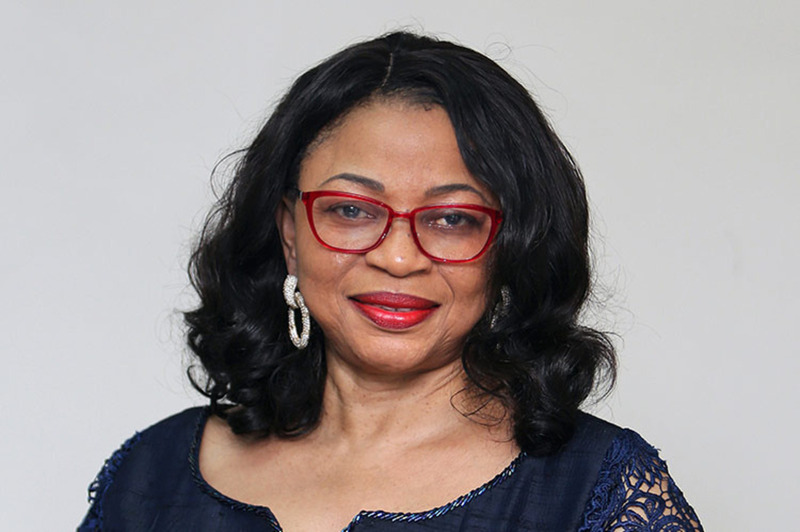 Through her the Rose of Sharon foundation, Mrs. Alakija helps Nigeria’s widows and orphans by empowering them through scholarships and business grants. Mrs. Alakija lives in Lagos, Nigeria with Modupe Alakija, her husband of 35 years, and their four sons and grandchild.